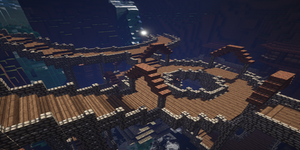 Our server is built on the idea of immersive, challenging, and competitive play! Featuring guild-based in-game ranks, Towny, and mcMMO leveling, there is always something new to accomplish on Caldera. Designed with your fun in mind, Caldera includes many diverse plugins that add to the player experience. This includes plugins such as Artmap, Brewery, Craftbook, and more! Caldera is also composed of a strong community of friends. If you are looking for a friendly and welcoming server experience, Caldera just may be the server for you! 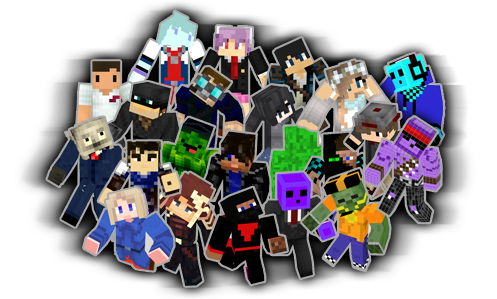 Find out more about our server! Towny: create and manage your own towns! Events: biweekly diverse events that feature awesome rewards! Play-to-Win Ranks: multiple in-game ranks for player enjoyment! Custom Features: unique server-specific plugins and recipes! Player-based Economy: economy based off of player shops! 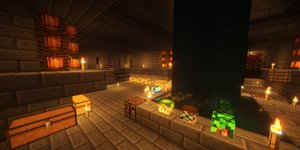 Friendly Community: a Minecraft community years in the making! Some of our other plugins! Essentials: set homes and teleport to other players (tpa)! mcMMO: compete to be the best in multiple skills! CraftBook: make amazing redstone contraptions with the aid of Craftbook! Artmap: create your own custom paintings! Brewery: brew alcohol in game! Includes unique server recipes! MarriageMaster: allows you to marry another player in game! Gamebox: unique plugin that allows you to play popular boardgames such as Battleship or Connect 4 in game! EULA Compliant: no donation perks with unfair player advantages! Server Trading Cards: trading cards for mobs and players. Collect them all! Pets and Trails: unlock awesome pets and player trails in game, just by earning in-game ranks! Dynmap: Explore the world using our online dynmap! Residences: private residences for players who prefer extra privacy! If building is your passion, this is the guild for you! Create and showcase beautiful and diverse structures and use your building talents to move up through the ranks. The Yeoman guild focuses on farming and taming. 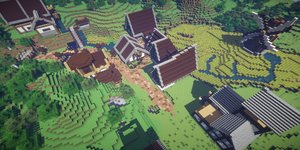 If you are all about the minecraft farm life, the Yeoman guild might appeal to you! Move up through the ranks by raising your herbalism level and by collecting diverse animals. You can find most Smiths either in their personal mines or at their forges, working hard to collect more raw materials or create new items. The Smith guild focuses on ranking up by mining and creating weaponry. The Warrior guild is all about combat, PvP, and loot acquisition. Warriors are known for their PvP skills, and are out behead other players. This guild is recommended for those that enjoy player-vs-player combat. If for you it's all about the money, the Merchant guild might be what you're looking for! Merchants focus on expanding their trading empire, collect mass amounts of rare loot, and hoarding their cash. The Brewer guild likes to party, and nothing says party more than alcohol. Brewers brew their own drinks through our Brewery plugin by discovering our custom alcohol recipes. Interested in running your own town? The Noble guild might be for you! Nobles rank up through their towns, by both increasing population count and increase town build quality. The Artist guild creates unique works of art through painting using our Artmap plugin and by writing unique Minecraft novels. If you enjoy artistic expression, check out the Artist guild! The Priest guild may be coming soon.